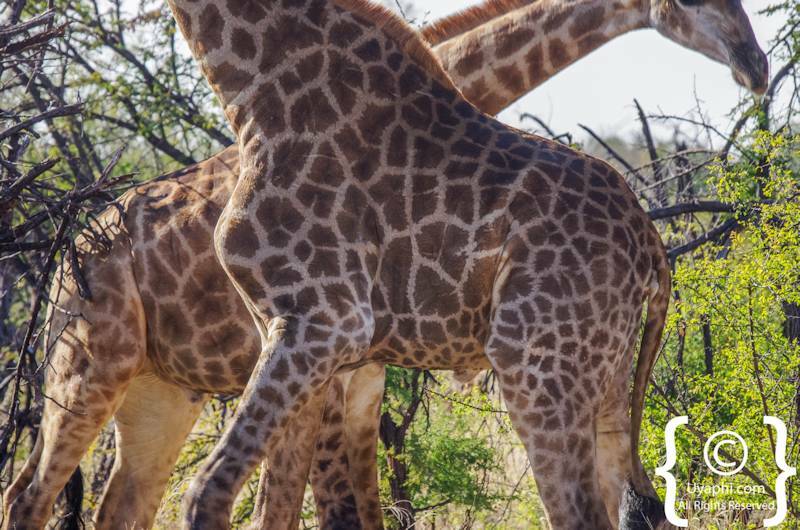 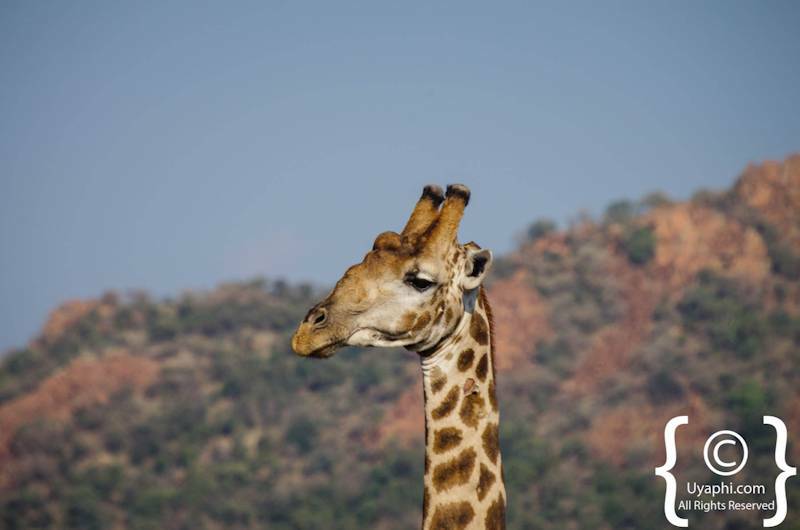 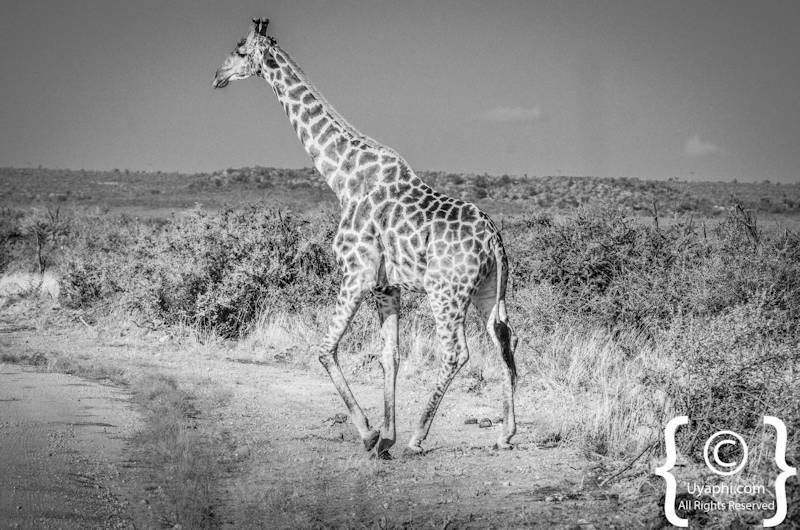 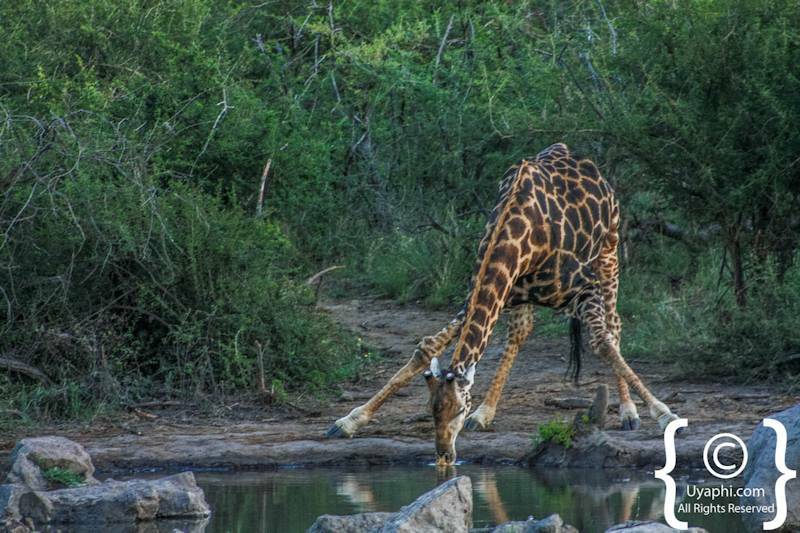 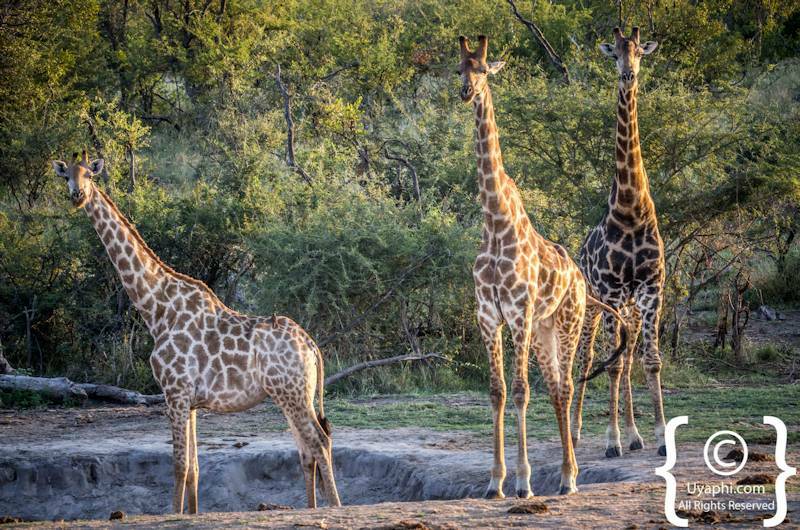 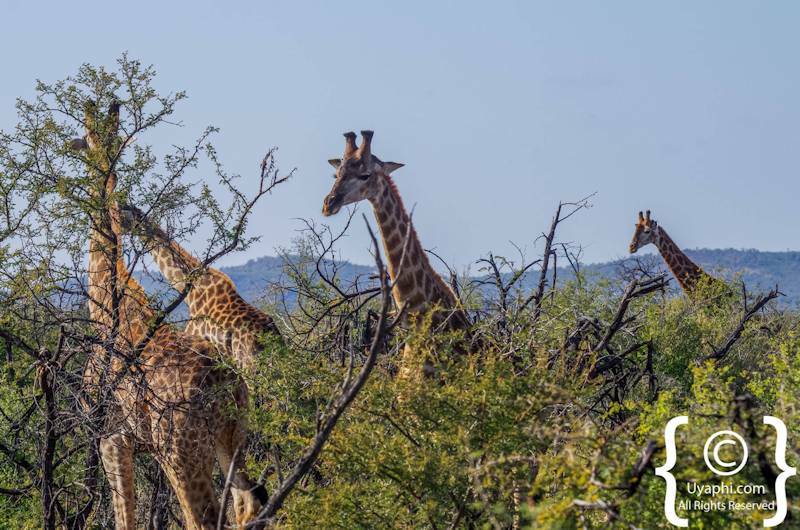 Now when it comes to spotting Giraffes in the Madikwe bushveld it should come as no surprise that these animals stand out like sore thumbs. 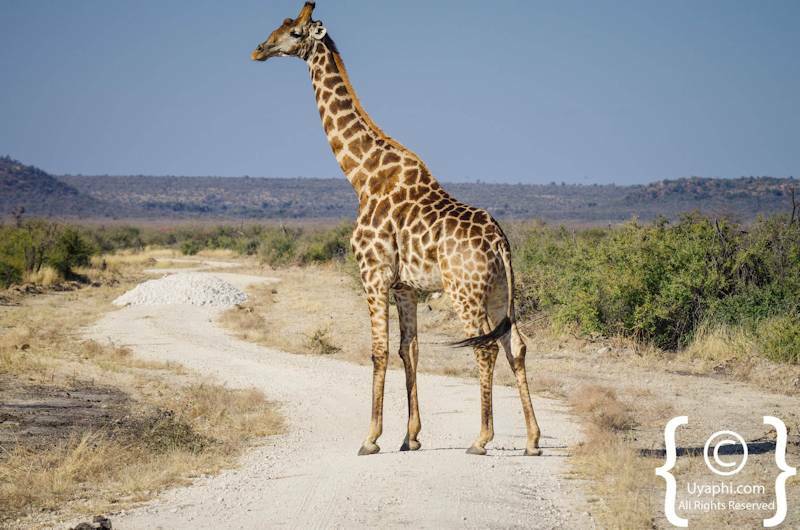 Especially when one takes into consideration that the average male stands at 6 metres in height, one can spot them "a mile off". 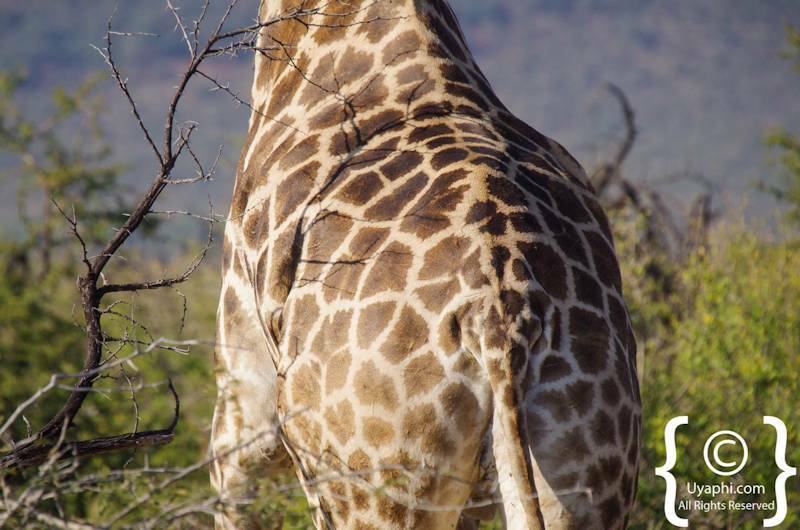 When close by and with a camera or binoculars in hand one gets to appreciate just how unique they are, from their height to the length of their necks to the unique patterns on their bodies. 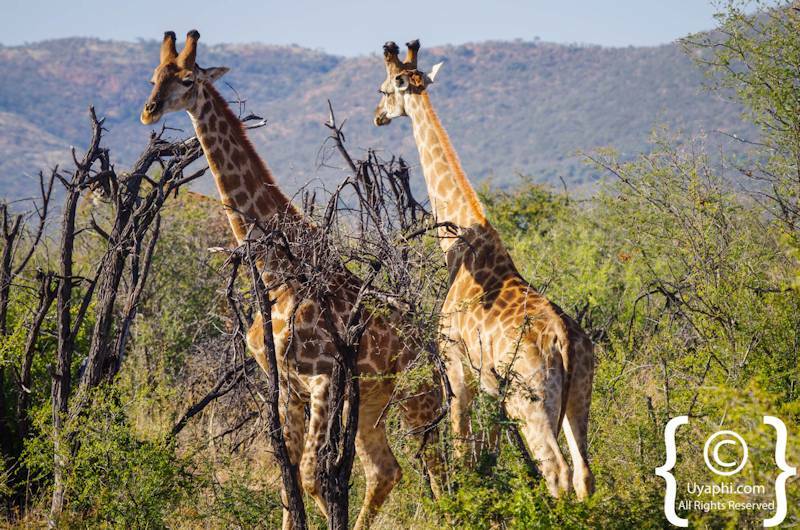 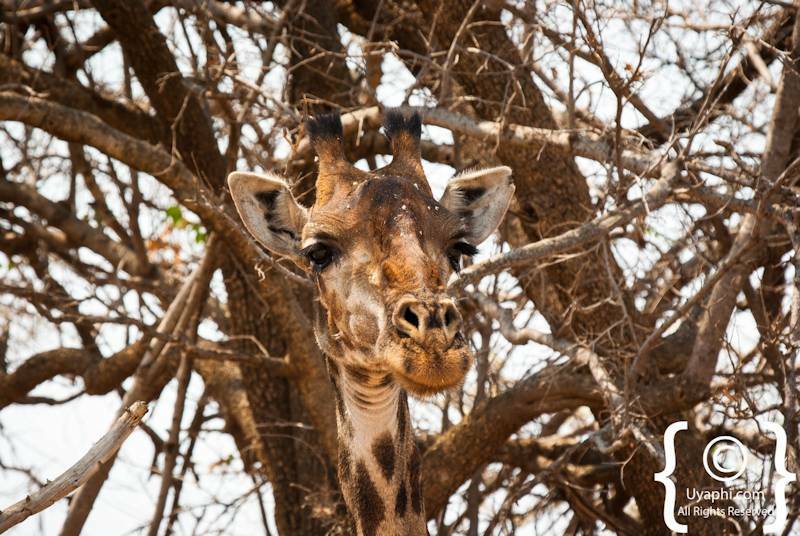 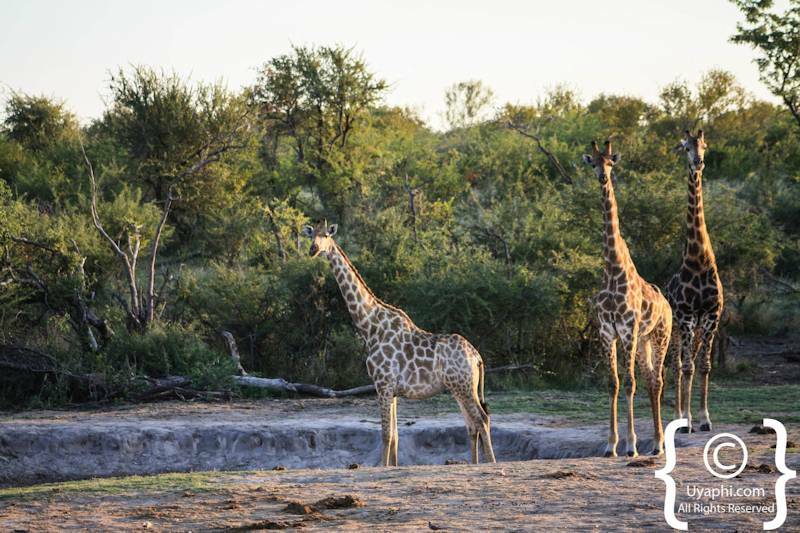 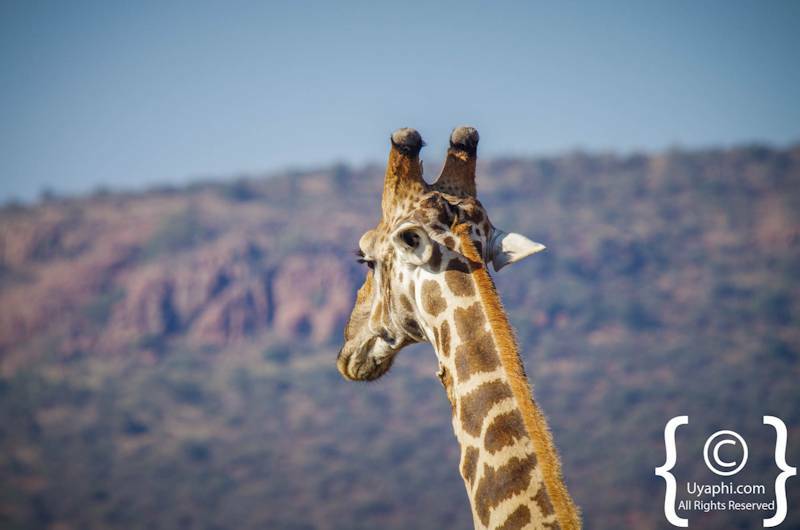 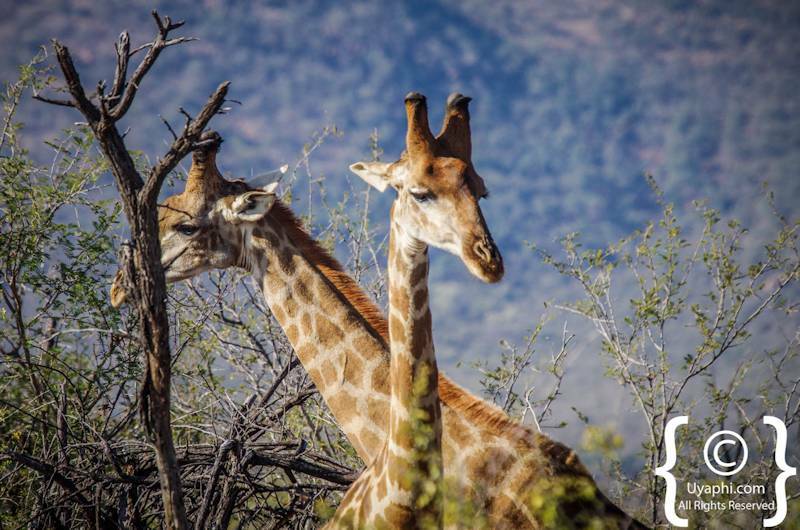 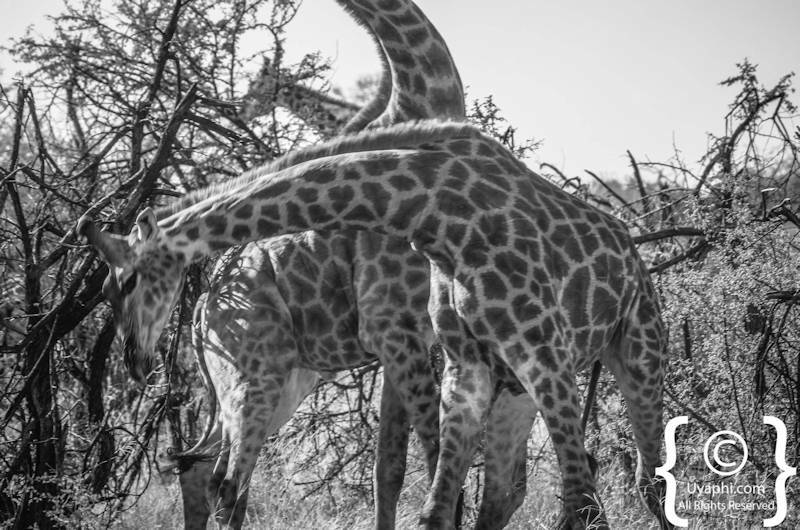 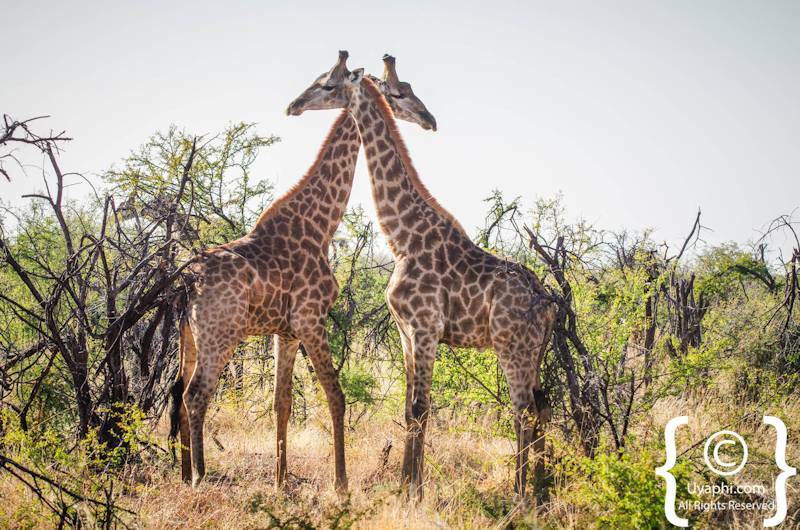 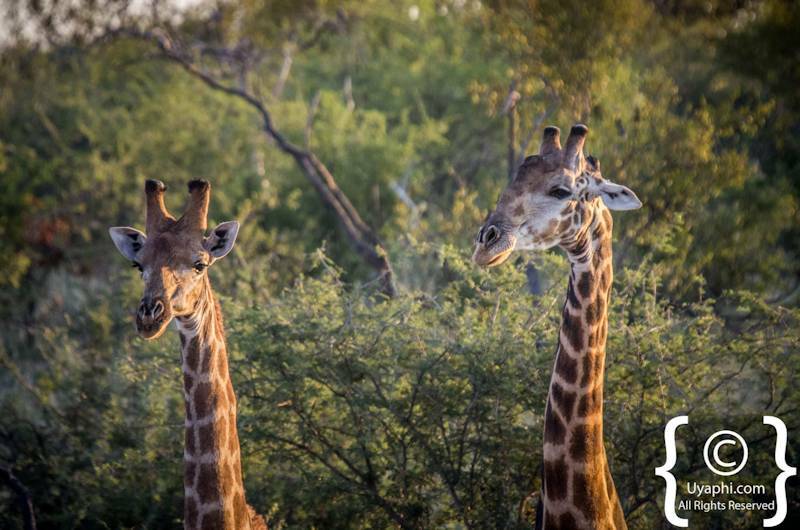 Giraffes graciously sail through the bushveld, and we could spend quite a lot of time just sitting back and watching them as they move from tree to tree eating their way through the reserve. 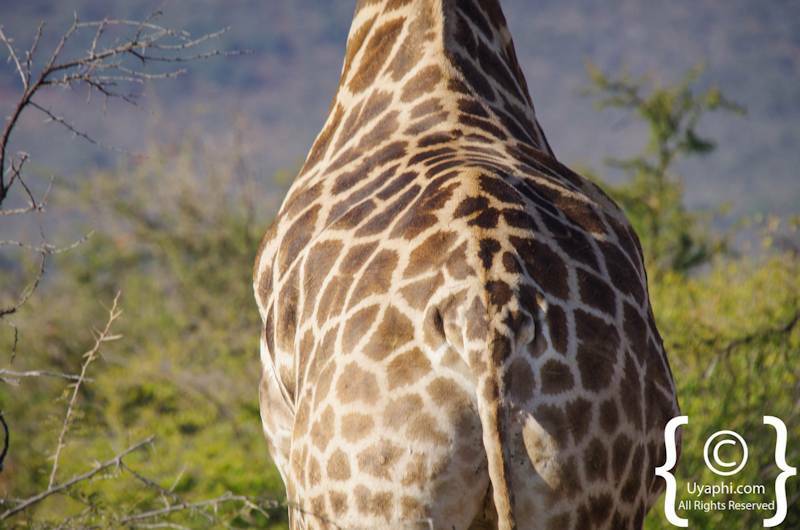 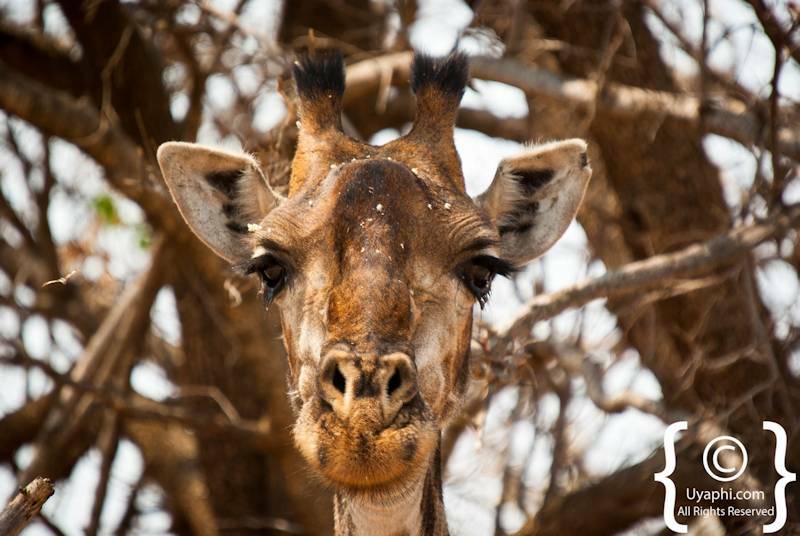 Simply put, everybody loves a giraffe or two or three or twenty and in the world of photography - they make great subjects. 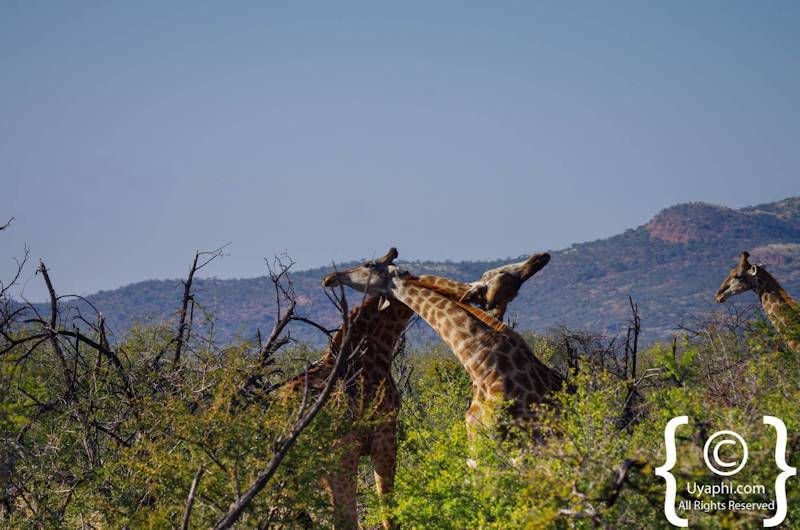 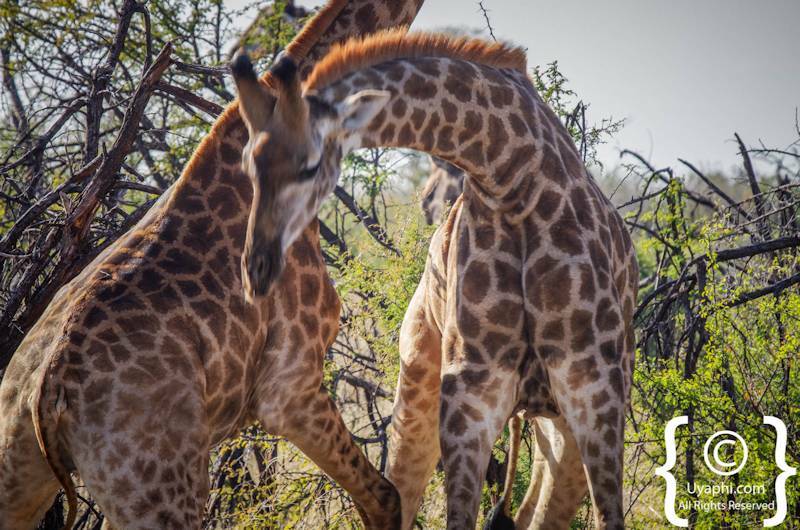 All photographs here on this page have been taken by us here at Uyaphi.com for the sole purpose of showcasing the Madikwe Game Reserve as we see it. 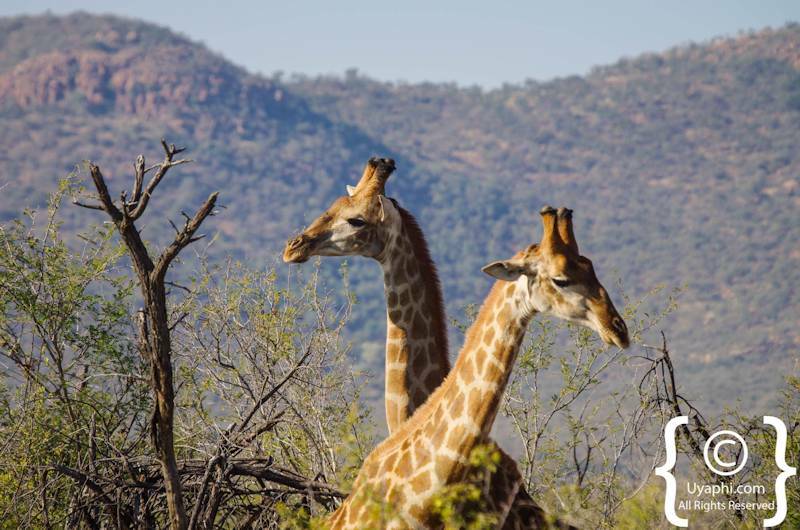 Catering to the well-heeled, discerning traveller looking for complete seclusion, relaxation along with an authentic link to their local surrounds, Molori Safari Lodge is definitely not your average safari lodge in South Africa or the Madikwe Reserve.